Everyone has their own way of being a woman but I’m proud to be a woman running a business who’s sensitive about emotions and passion. I struggled as a founder, but when I changed that description to “founding mother” I dropped into my body, and into my womb, and suddenly this organism was a child, and it was about looking after a child, and a team and community. 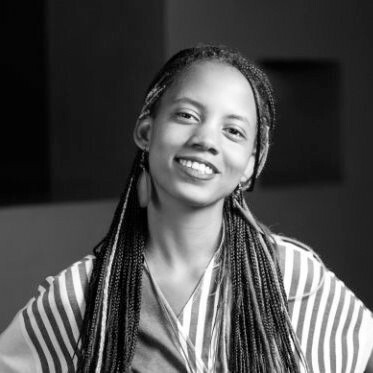 Samantha Moyo is a social entrepreneur who specialises in community building, innovation and culture change. She designs future focused campaigns with positive social impacts and is the founding alchemist of Morning Gloryville. MGV is a social movement that pioneered the sober morning dance industry and has grown a community of 190K globally. This spiritual business won the award for best Zero-Alcohol initiative in the UK in 2016. The company has featured in over 3,000 press features worldwide and Sam offers consultancy to social change folk and brands. Morning Gloryville originally named Morning Glory, is a sober, drug-free morning rave. Morning Gloryville was founded in 2013 by Nico Thoemmes and Samantha Moyo. It was designed to be “fun… without the alcohol”, and an alternative to the morning gym. One of the aims is to “reengage people with a form of exercise” without the negative health impacts of drugs and alcohol. The original event occurs once a month in Shoreditch, East London. Since then Morning Gloryville has expanded to 14 cities around the world. The event is not exclusively raving, but also includes yoga and massage. Because the event is drug and alcohol free it is also popular with families and children.